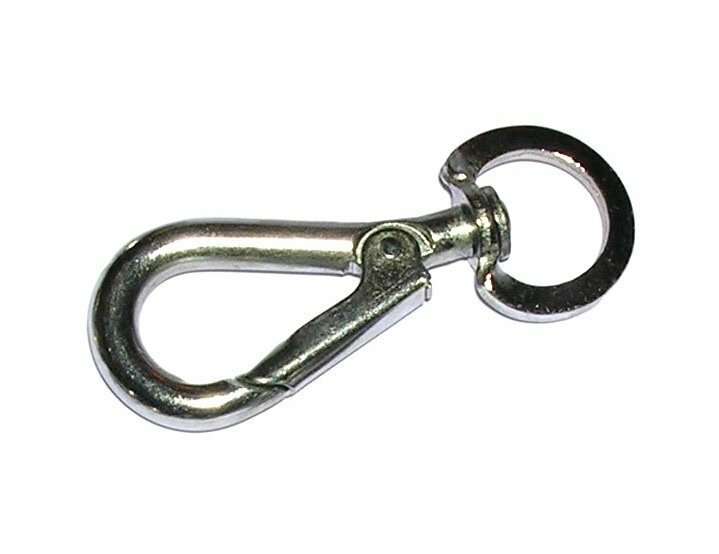 Spring hook with swivel eye in bright zinc plated steel with an overall length of 100mm. Supplied untested. OPAS have a snap or hook for every application on land, afloat or... well anywhere! The range is extensive, both in size, strength, finish and design. 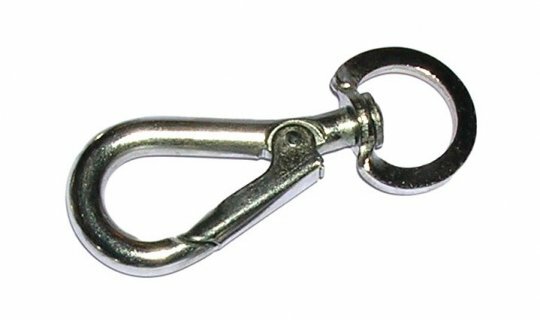 If you have a specific snap or hook requirement and would appreciate some impartial professional advice, then please contact us; our technical department is ready to help.